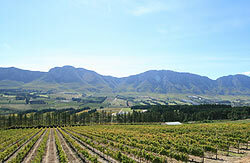 Sun Jomar Accountants is a boutique accounting firm located in Hermanus, Western Cape, South Africa. Our firm caters mostly for small to medium-sized businesses located in the Western Cape. Our firm delivers an all-inclusive accounting service to these business clients, often incorporating all bookkeeping, accounting, taxation and corporate secretarial functions, from the original capturing of source documents, to the preparation of financial statements, handling all tax administration and corporate secretarial matters, and advising clients on these financial and related matters. Our wide variety of accounting services, backed up by more than twenty years of experience in this accounting environment, not only allow us to act as a general accounting practitioner to all kinds of businesses, but allow us to act as a tax practitioner to these clients, as such conducting all taxation matters for these clients. This same wide variety of accounting services has made our firm a popular destination for trainee accountants. 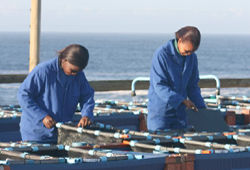 Information technology allows our firm to stay in contact with clients outside of Hermanus. We therefore cater for clients in the Cape Peninsula, Boland, Overberg, Swartland and the Cedarberg, where regular visits are conducted. Most of our clients find themselves in the service sector, incorporating all sorts of services, such as maintenance and repair services, professional services, restaurants and guesthouses, while others find them in the agricultural, aquaculture, fishing, manufacturing, wholesale and retail sectors.